Those familiar with the iOS jailbreaking world are probably aware of Nicholas Allegra, commonly known as Comex, the author of the incredibly popular jailbreaking tool JailbreakMe. Now, he revealed in a tweet that he will be working as an internee at the company whose devices he loves hacking; Apple! As one might expect, given Apple’s well-known secretive practices, we might never find out what Comex will be doing at Apple as an intern, but the company has definitely recruited him for his great vulnerability detection skills. There, he could actually make it harder for future versions of iOS to be jailbroken, which some would see it as a betrayal of his community, which after all spends countless hours per day trying to decrypt new versions of iOS as they come out, in order to jailbreak them. Despite this, reaction to this news has been so far very positive, and it should be: a job at Apple is what many would aspire to have, Nicholas should definitely get the most out of this well-deserved lifetime opportunity. Comex is as geeky as many of us would aspire to be. At age 9, he began programming using Visual Basic by reading online tutorials, giving him a huge edge over his peers at his Computer Science classes in High School, which he deemed useless to him. 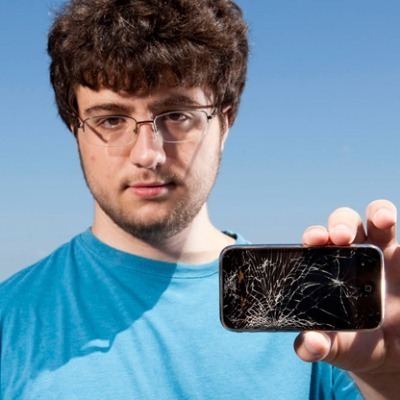 This is not the first time that a well-known member of the iOS jailbreak community has been hired by popular companies. Back in June, Facebook confirmed that George Hotz, who first became known in 2007 for being the first in the world to successfully unlock the original iPhone, had joined the social networking company to work on a "secret project", presumably related to the social networking site’s mobile efforts. One month earlier, we reported exclusively that Peter Hajas, creator of the well-known MobileNotifier tweak for iOS, had joined Apple as a developer. Indeed, Comex isn’t the first from the jailbreak community to land on a job of his dreams, and he likely won’t be the last.